Clenbuterol has been shown to have anabolic activity in animal research, making it a very viable drug for athletes. This compound is additionally a known thermogenic, with beta-2 agonists like Clenbuterol shown to directly stimulate fat cells and accelerate the breakdown of triglycerides to form free fatty acids. This makes Clenbuterol a very attractive drug. 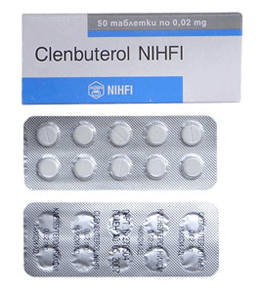 Those who use Clenbuterol are looking for something that will help them lose body fat and increase muscle mass. Medicine and Science in Sports and Exercise published a review in August of 1995 showing that the information is purely based on the results of anabolic activities in animals for bronchodilator. This has lead to ongoing debates about Clenbuterol even being anabolic at all. Many of those who use Clenbuterol claim it has helped them to build muscle mass while some athletes say it was a waste of their money.